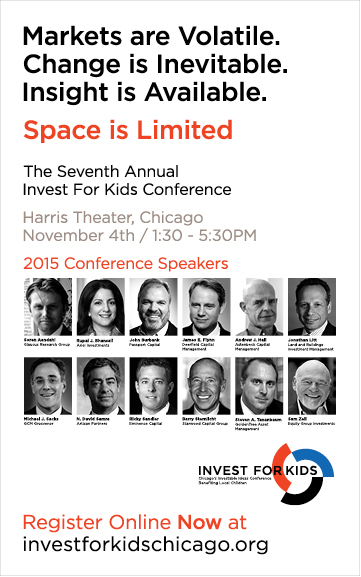 The seventh annual Invest For Kids Chicago Conference is coming up in a few weeks and space is limited. The event features prominent hedge fund managers sharing investment ideas to benefit underprivileged children in Chicago. Readers receive $100 off the price of a Professional Ticket using discount code MARKETFOLLY (it's case sensitive.) This discount expires November 2nd. Click here to register.